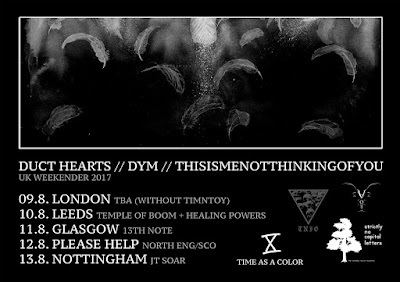 In just over a week, Germany's Duct Hearts will be setting off around the UK for a short run of shows alongside London's Dym and Derby's Thisismenotthinkingofyou. It all starts at a "yet to be announced" London venue on August 9th and ends on the 13th as JT Soar in Nottingham. 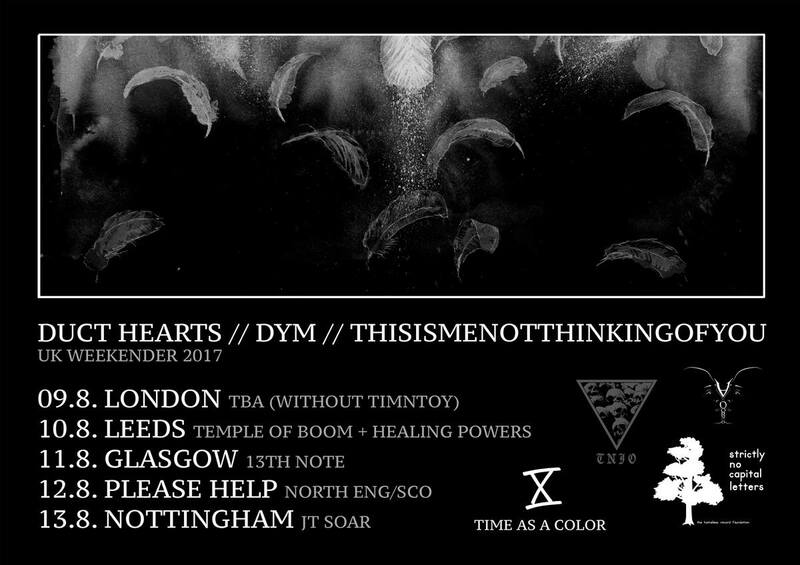 Duct Hearts are playing in support of their recent LP "Feathers' (reviewed here), which was released by a whole host of labels including Time As A Color and Strictly No Capital Letter, who're helping to make this tour happen alongside Adorno Records and other helpful people. Also, if you peak a little closer at the poster above, you'll notice a familiar logo on there (wink, wink).